Working on your bucket list? Here’s a great book that will get you out into some of the most beautiful places in the world for a once in a lifetime experience. 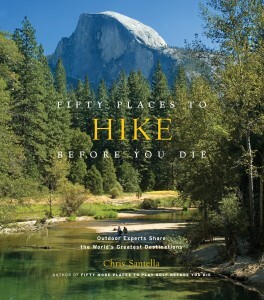 Fifty Place to Hike Before You Die explores the world’s greatest walking adventures. Some, such as the Lunana Snowman Trek in Bhutan or the Kangshung Valley Trek in Tibet, are difficult, multiweek backpacking adventures. Others, such as Japan’s Nakesando Trail, are more leisurely, traveling from village to village or try Italy’s Amalfi Coast, visiting bistros along the way. There are hikes from all parts of the world and include the expected – the Matterhorn in Switzerland and the Grand Canyon in Arizona – and the surprising – Snow Lake in Pakistan and Volcanoes National Park in Rwanda. 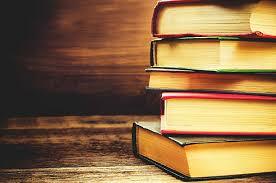 All of them have one thing in common though – extraordinary experiences in extraordinary places. The major shortcoming of this book is the brevity of each entry – while basics of each trail are included, the serious traveler will need to investigate more complete information in other sources. Treat Fifty Hikes as an appetizer, an introduction to possibility and inspiration. Then choose a destination, get out your hiking boots and mark another item off that list!